Our movement for equality has had tremendous accomplishments, as can be seen by the 50th anniversary of the Civil Rights Act this year. But we also know that we still have much to do. Right now, 46 million Americans are mired in poverty, including 20% of all children. Meanwhile, billionaires are hoarding more and more wealth at the very top, which is undermining our democracy and our economy, and feeding the rise of right-wing extremism. 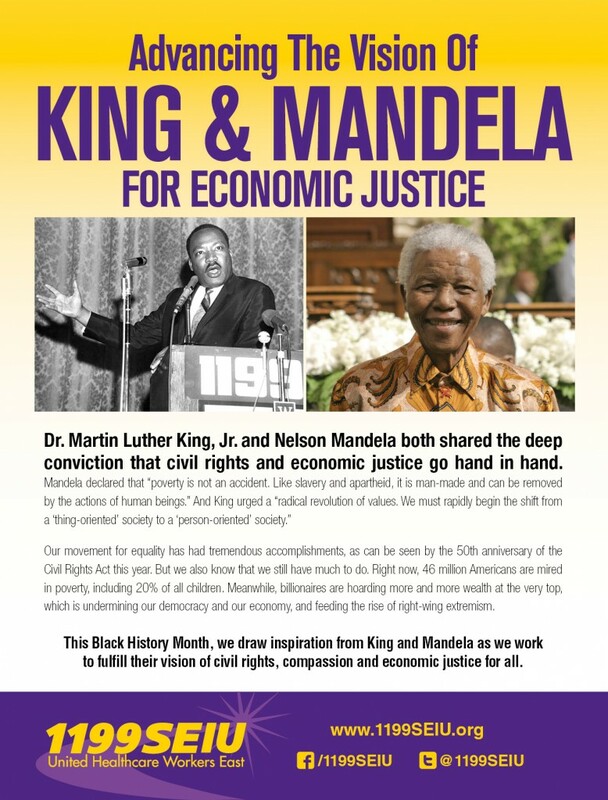 This Black History Month, we draw inspiration from King and Mandela as we work to fulfill their vision of civil rights, compassion and economic justice for all.